Zeev Maoz is a Distinguished Professor of Political Science at the University of California, Davis. He is Director of the Correlates of War Project and former President of the Peace Science Society (International) (2007-08). Before coming to Davis served as head of the Graduate School of Government and Policy at Tel-Aviv University. He held appointments of Head of the Jaffee Center for Strategic Studies (1994-1997), as the Academic Director of the M.A. program of the National Defense College of the IDF (1990-1994), and as Chairman of the Department of Political Science at the University of Haifa (1991-1994). Prof. Maoz received his Ph.D. from the University of Michigan. He also held visiting appointments at Carnegie-Mellon University, New York University, Rice University, and the University of Michigan. 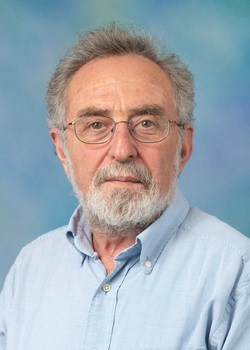 Prof. Maoz is the author and editor of twelve books in international relations, including: Paths to Conflict: International Dispute Initiation, 1816-1996 (Boulder, CO.: Westview Press, 1982), National Choices and International Processes (Cambridge: Cambridge University Press, 1990), Paradoxes of War: On the Art of National Self-Entrapment (Boston: Unwin Hyman, 1990), Domestic Sources of Global Change (Ann Arbor: University of Michigan Press, 1996), Bound by Struggle: The Strategic Evolution of Enduring International Rivalries (Ann Arbor: University of Michigan Press, 2002—with Ben D. Mor), Defending the Holy Land: A Critical Analysis of Israel’s National Security and Foreign Policy (Ann Arbor: University of Michigan Press, 2006), and Networks of Nations: The Evolution, Structure and Impact of International Networks, 1816-2001 (New York: Cambridge University Press, 2010). He also edited Multiple Paths to Knowledge in International Politics: Methodology in the Study of Conflict Management and Conflict Resolution (Lanham, MD: Lexington Press, 2004—With Alex Mintz, Cliff Morgan, Glenn Palmer, and Richard Stoll), Regional Security Regimes (London: Frank Cass, 2003—with Emily Landau and Tamar Maltz), War in a Changing World (Ann Arbor: University of Michigan Press, 2001—with Azar Gat), and Regional Security in the Middle East: Past, Present, and Future (London: Frank Cass, 1997). His scholarly articles appeared in leading journals such as the American Political Science Review, American Journal of Political Science, World Politics, Journal of Conflict Resolution, International Security, International Studies Quarterly, Network Science, Scientific Reports, and others. His fields of specialization include strategy and international security affairs, international relations theory, decision making and negotiations, and political methodology. In the field of Middle East politics, his work focuses on the international relations of the region. His work in this area includes editing and contributing to two special issues of The Journal of Strategic Studies on regional security in the Middle. Prof. Maoz is also one of the first Israelis to have published a major article in the Egyptian daily newspaper, Al Ahram.